Francisco Suárez: De pace. De bello. Über den Frieden. Über den Krieg. LXIV, 267 p., 1 ill., 17,3 x 24,4 cm. Edited and introduced by Markus Kremer. 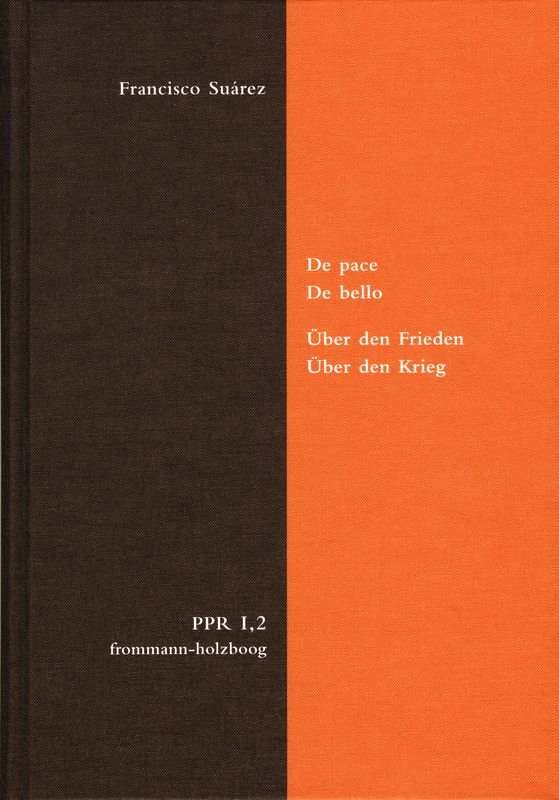 Translated into German by Markus Kremer and Josef de Vries. The question of war and peace has accompanied Christian theology since its initial stages. Each attempt to answer it had to be conceptualized within the framework of biblical revelations, human rationality and practical actions (decision-making). This is also true for the draft of the Spanish Jesuit Francisco Suárez (1548–1617), whose thoughts are highly valued to this day, not least due to their influence on the philosophy on law and politics. To the same extent, Suárez can also be considered as a theologian par excellence, one who did not detach the application of natural reason from its purpose or origin: the divine law (lex divina). Therefore, he cannot be considered a ›secular‹ thinker dispensing with religious principles. This also applies to Suárez’ personal evaluation of war as against God’s will, particularly regarding its consequences.